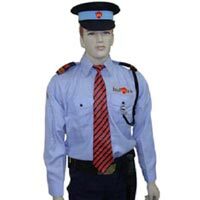 Gopesh Enterprises is a well-reckoned Uniforms Manufacturer, Exporter and Supplier. 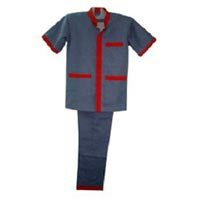 The company brings forth a huge assortment of Air Hostess Uniform, Corporate Uniform, Hospital Uniform, Hotel Uniform, Housekeeping Uniform, Military Uniform, Police Uniform, School Uniform and Security Guard Uniform. The Uniforms, available with us, are made with top grade fabrics, thread, fusing, buttons, zipper, etc. We offer Uniforms in various sizes, colors and patterns in order to suit requirements of various organizations.